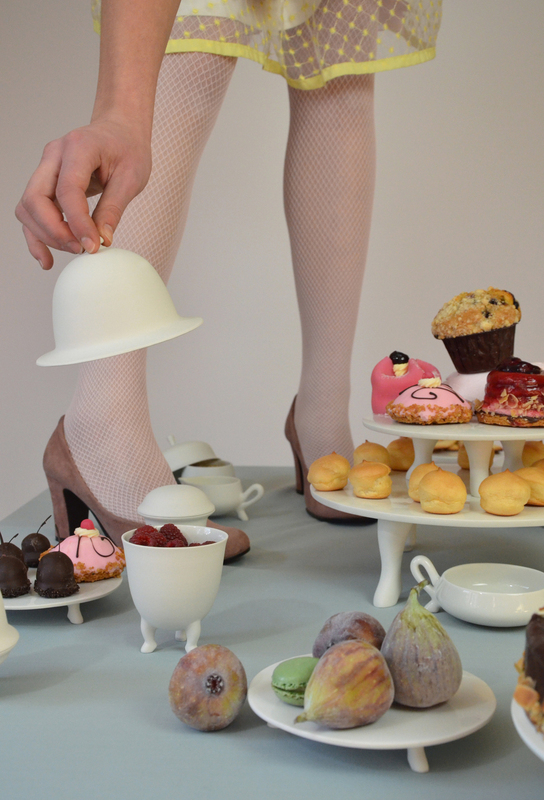 Tea Time is a high tea set inspired on the fantastic story of Alice in Wonderland by Lewis Carroll. This story is full of little design facts if you read it well. And it’s full of silly characters. So is this set. All products became little personalities and together they form a big crowded family. 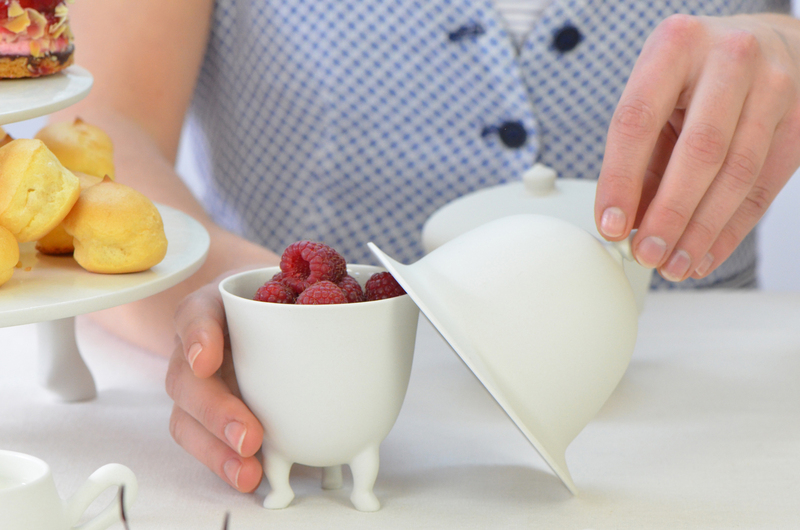 On head of the family is Queen Tea, a big teapot on which tea can be tapped into the teacups, lady grey. On the table it seems like time stopped in the middle of a bussy conservation. 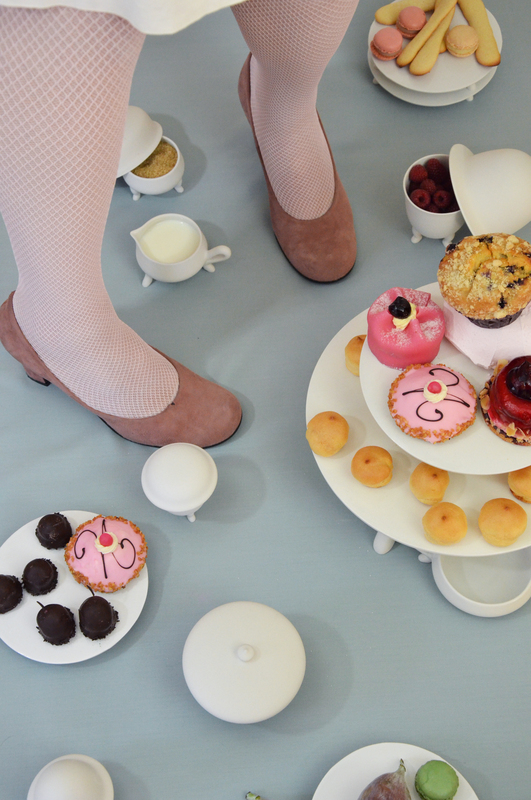 Tea Time was the graduation project of Jorine in 2005. 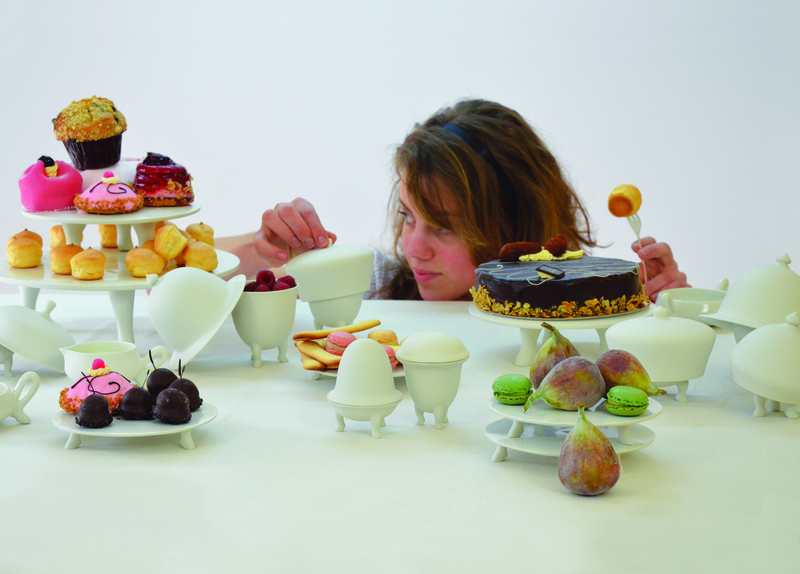 The pieces are made from high quality white porcelain. All made by hand in the Netherlands. The inside is glazed, the outside is not. This accentuates the form and also the purity of the material.